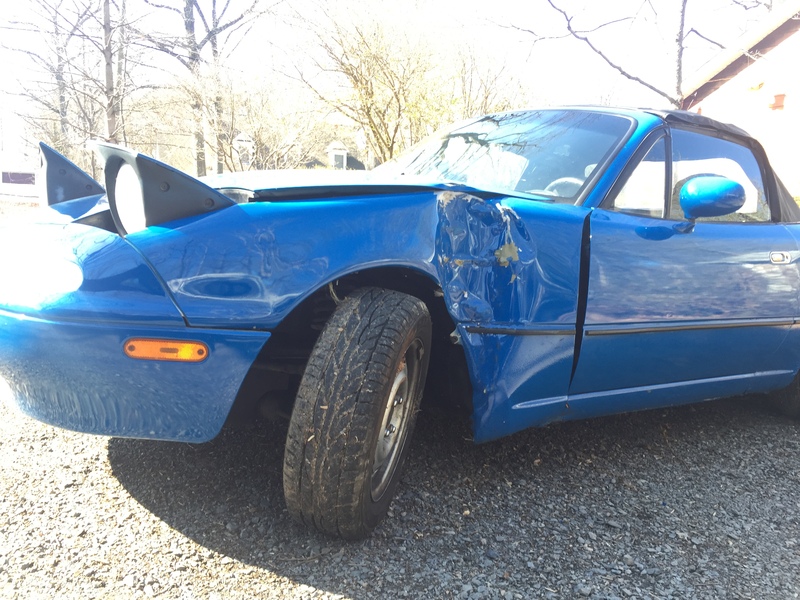 Before I came into possession of a car that seems to break every time I look at it wrong, I owned a beautiful 1992 Mazda Miata. Sadly, our time together was cut short when I stupidly crashed her into a telephone pole. More on that later. After the Miata had moved on to roadster heaven, I was left with a decision. I could either get another Miata or branch out and get something different. Not trusting myself to drive around corners after the Miata incident, I decided to get something more suited to straight line speed. And that’s where the Foxbody comes in. I trolled Craigslist endlessly for about a month and couldn’t find any Foxbodys in my price range. Then finally, I found a local car in Alexandria that looked promising. A 1989 GT with a full exhaust, E303 cam, and lowering springs for $2500. I should’ve known it was too good to be true. The guy wouldn’t let me test drive it, saying it was a “man’s car”. Keep in mind, the guy was at most 3 years older than me. We set off on the test drive with me riding shotgun and I immediately knew this was not the one. When the seller said in the ad that “3rd gear grinds occasionally”, he actually meant “the hideous noises coming from the transmission get worse when you put it in 3rd”. I said thanks, but no thanks, and kept searching. 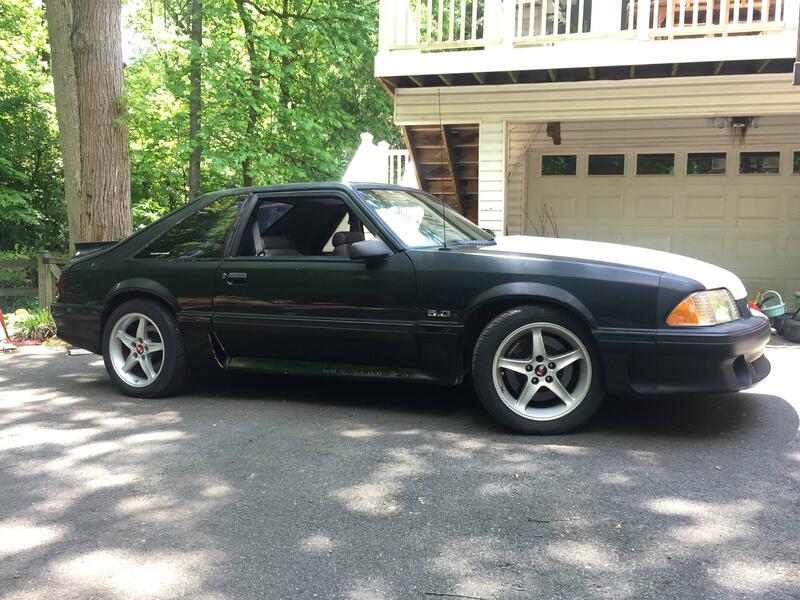 A few weeks later I found what I thought was the perfect Foxbody. A low mile (read: odometer rolled over), fully built 331 stroker motor with nitrous. The paint had seen better days so the guy was selling it for $4000. I went over the next day and everything seemed solid. We went on a test drive in which he spun through first gear, powershifted second, and spun all the way into third. On a residential street. At 7:30pm on a Thursday. That should’ve been my first warning sign he might not be a very stand up guy. Of course, I ignored the warning signs and bought the car anyway. I made it home alright, learning that the speedo was off by about 30mph. Just happy that I had a V8 powered car, I didn’t think much of it and parked it for the night. Come morning, my awesome mom offered to register the car for me while I was at school. I got a call around 12:30pm with her asking if the Mustang’s windows were tinted. “Uh, I think so, why?” I answered, confused as to why the DMV needs to know that. Turns out the previous owner had a special permit for tint and the DMV wouldn’t give us the new title until we certified it was removed. 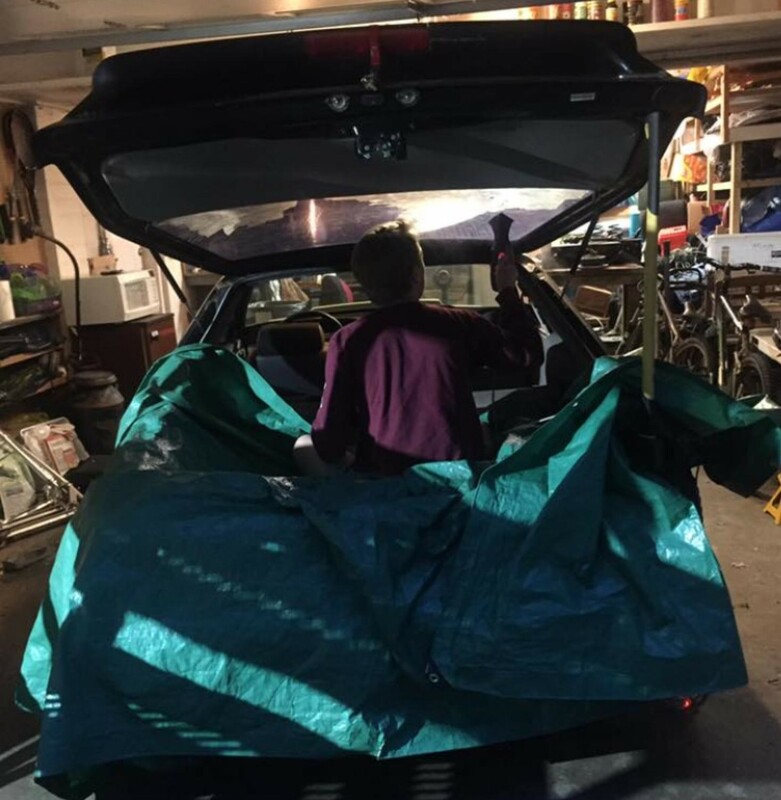 Six and a half hours with a portable steamer and a razor and the 24 year old tint (I found the receipt in the glove box) was gone. I got one of the techs at the shop (Thanks Mowgli!) to sign off on the DMV form and we were back in business. I put my brand new antique plates on and headed out to cruise the streets in my new car, oblivious to the fact it would soon become a parking lot ornament.